Junior Sara Olivova is coming off a spring season in which she posted a 23-9 record for Georgia State’s sand volleyball team with partner Jansen Button. She was also selected to compete for Czech Republic at the CEV U22 European Beach Volleyball Championship in September. The event, held in Fethiye, Turkey, lasted four days and featured 32 pairs from all over Europe including France, Italy, Russia, Norway, Sweden and Austria. Olivova and her partner, Marketa Bendikova, were one of two teams from Czech Republic. 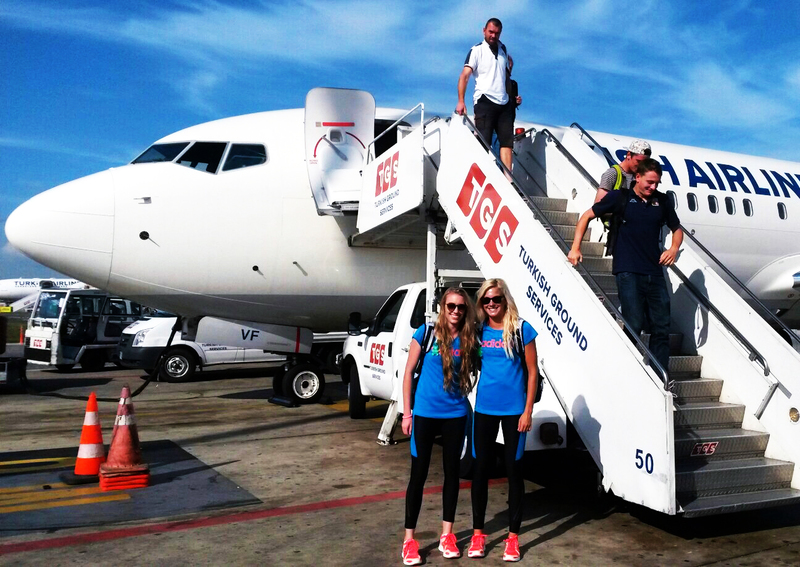 Olivova (right) and her partner arrive in Turkey for the CEV U22 Euro Championships. To get there, Olivova flew from Atlanta to Paris where she missed her connecting flight. From Paris, she took a plane to Czech Republic where she met up with Bendikova to train. Olivova’s luggage took almost four days before it finally found its way to Prague. The participating teams all stayed at a resort during the competition. Olivova and Bendikova took a break away from the sand courts to enjoy some waves at the real beach. 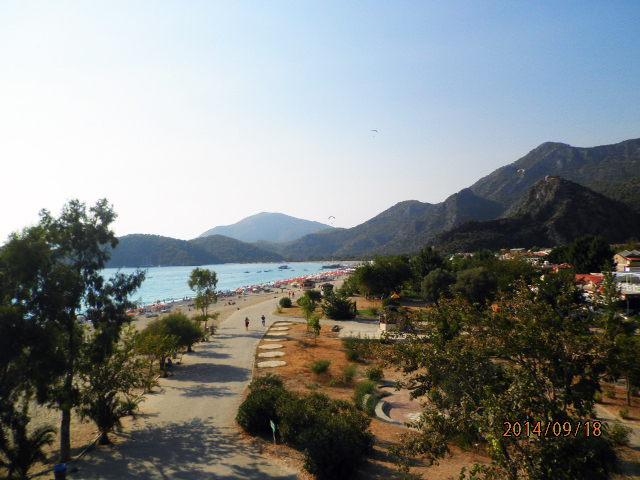 One of the views from the resorts that competitors were housed at during the competition. Olivova said that the resort would serve Turkish food, but would also have options for less daring players. 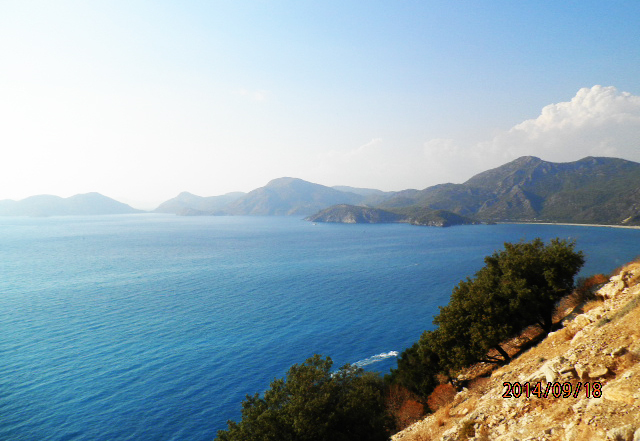 Fethiye, Turkey, the host of the tournament, is on the southern coast of Turkey and sits on the Mediterranean Sea. This entry was posted in Georgia State Athletics, InsideGSUSports, volleyball. Bookmark the permalink.